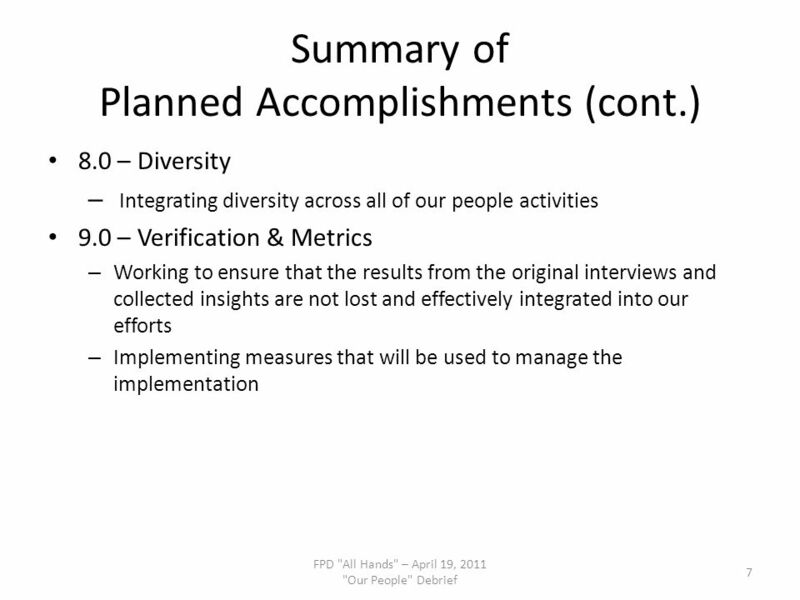 OUR PEOPLE WORKING GROUP - STATUS - Bob Menrad FPD "All Hands" – April 19, 2011 "Our People" Debrief 1. 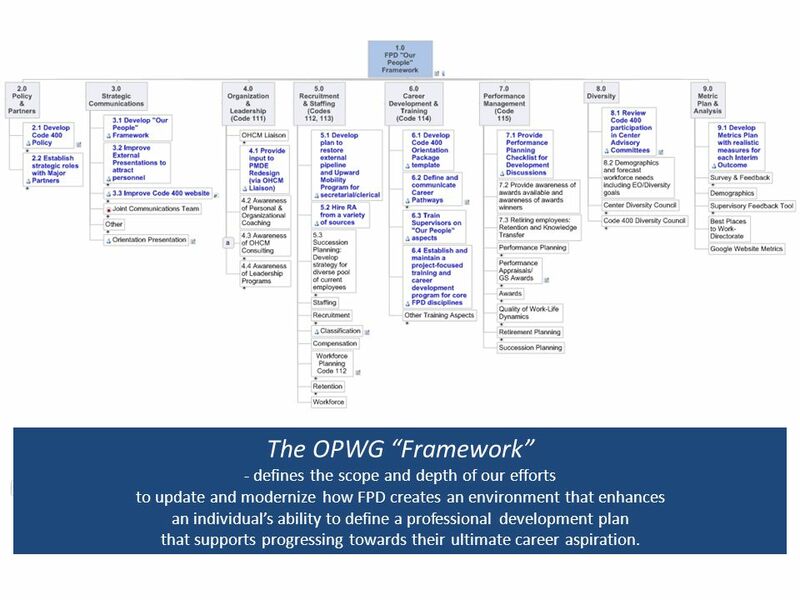 4 The OPWG “Framework” - defines the scope and depth of our efforts to update and modernize how FPD creates an environment that enhances an individual’s ability to define a professional development plan that supports progressing towards their ultimate career aspiration. 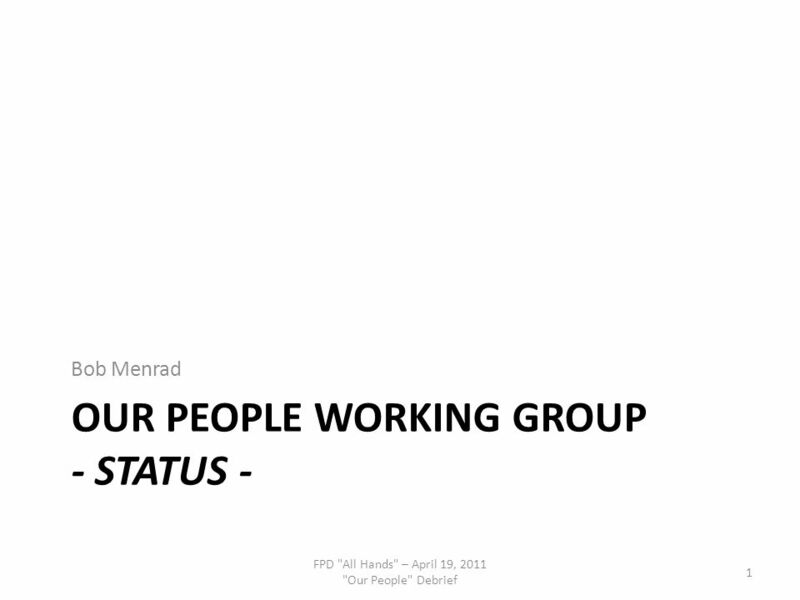 Download ppt "OUR PEOPLE WORKING GROUP - STATUS - Bob Menrad FPD "All Hands" – April 19, 2011 "Our People" Debrief 1." 1 Educator and Provider Support Procurement Fiscal Year 2011. Community Engagement. ISLE Vision for the Future - Examples Connect to mentors. Find student organizations. Find challenges. 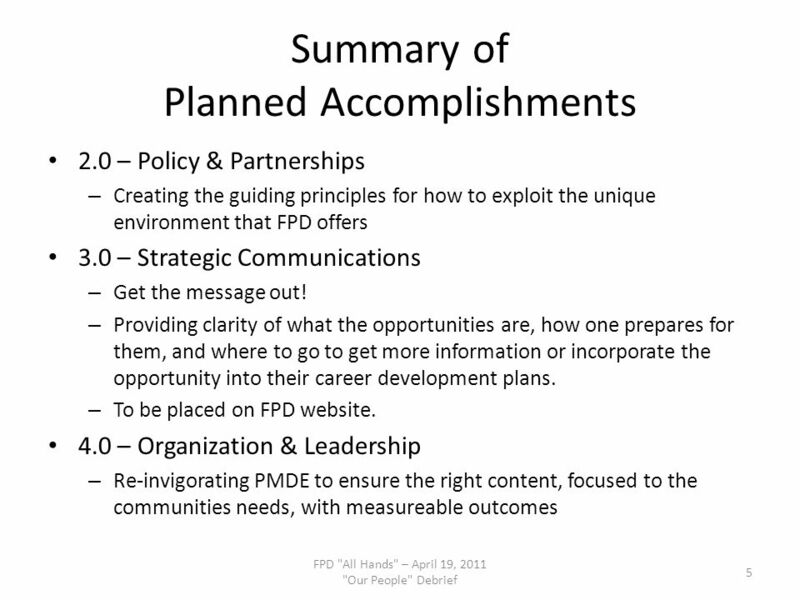 Connect to project management. VISION 20/20 1 Preparing Tomorrow’s Workforce Today! 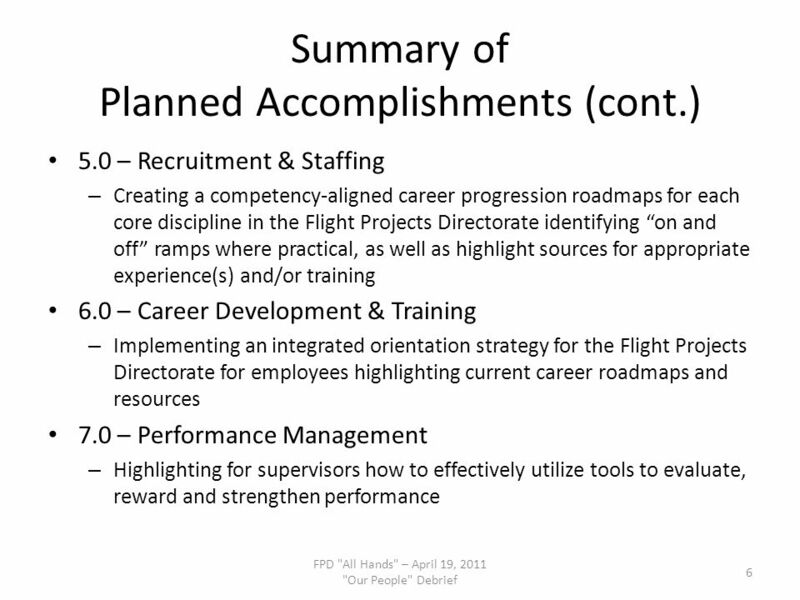 State of New Hampshire Department of Administrative Services Division of Personnel Workforce Development Strategic Plan. A relentless commitment to academic achievement and personal growth for every student. Redmond School District Graduates are fully prepared for the demands. 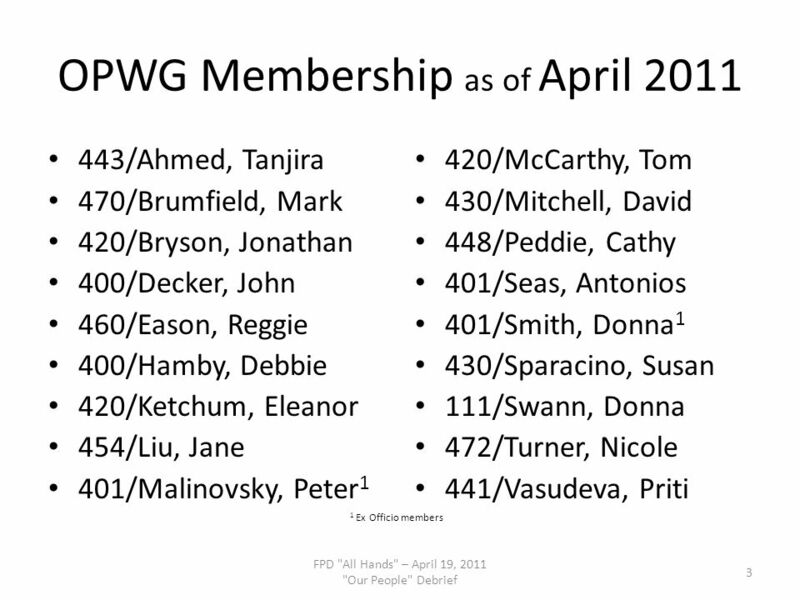 Enrollment Management and Student Affairs at Portland State University Enrollment Management and Student Affairs is a student-centered organization, dedicated. Using Strengthening Families to Meet the Goals of Race to the Top Early Learning Challenge. CEC Advisory Council October 25, 2013 Miami 2020 Plan: Moments that Transorm. New Ways to Support Learning in VET Jim Davidson Deputy Secretary Department of Education, Science and Training CEET Conference 28 October 2005. Softball, High Performance and the women’s programme Megan Harlick High Performance Manager.